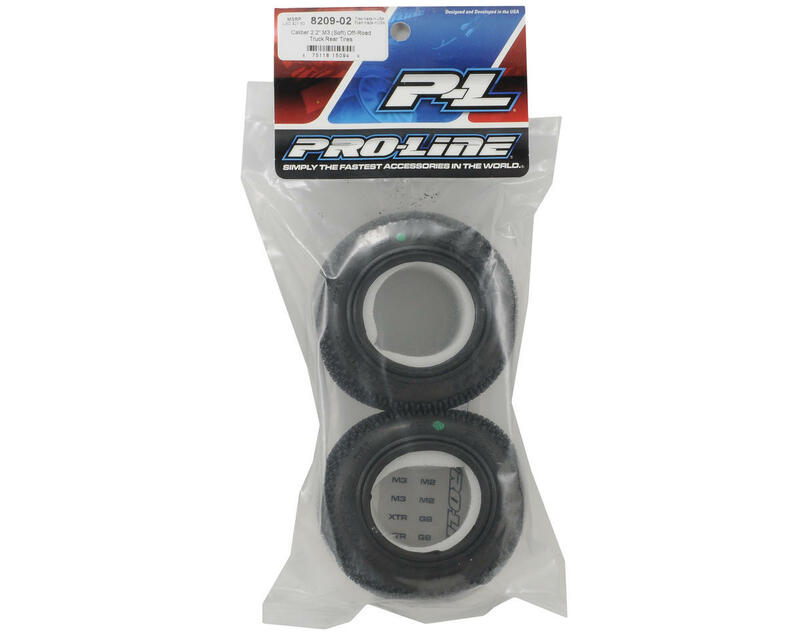 This is a set of Pro-Line Caliber 2.2" Truck Tires, in M3 Compound. The Caliber takes tire technology to the next level by optimizing traction, control, balance, and tire wear with its dual-stage design. The smaller top pin penetrates through loose dirt while delivering unbelievable side and forward bite. The base pin works as a support for the top pin while acting as a dual-stage design once the top pin is worn down. You can rely on the base pin for greater tread life wear and it works well on those tracks that are prone to blue-groove or have a super clean surface. Only ran 2 batteries on these so far, but they are the best front tires I have used. They hold the corners on asphalt like no other tire. It may be because of the way they have the pins on the shoulders of the tires. They have great traction for the rear as well. So far these are my favorite all around tire for traction and turning. Great outdoors racing tyre! 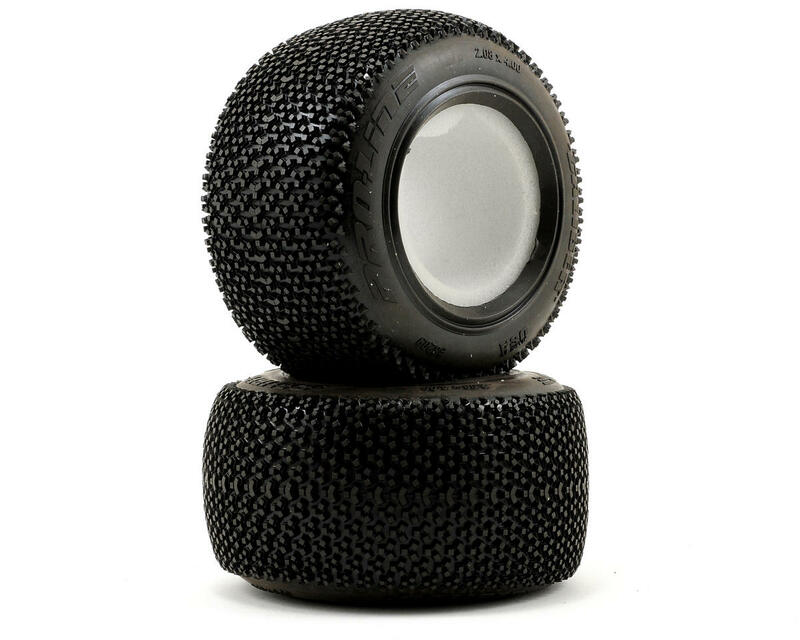 tyres aren't cheap these days one set of these Calibers will last all race day not like the mini pin type $40 in tyres for 1 or 2 races where's the value gone! just wish these came in M2 compound, outdoor tracks burn the rubber!